Your home base in Baja Sur. The Cabo experience is much more than a hotel stay. Much of the Bahia experience is about being anywhere but here – whether up a mountain, into the desert or out to sea. Because we’re surfers, paddlers and foodies ourselves, our team is sincerely invested in helping you experience the best of Baja: to see every species, sample every flavor and explore every exhilarating opportunity. And at the end of each day’s adventures, we’re here to welcome you home. A little hotel with big heart. You’ll find that our hotel feels deeply personal – because it is. Every detail is chosen, designed or built right here, by our team, creating next-level investment in our property and our work. We’re passionate about what we do, and it shows. One of the greatest compliments we receive from our many repeat guests is that our hotel feels like home, and our team feels like family. That’s exactly what we intended. Bahia has it all: close proximity to the Sea of Cortez’s most swimmable stretch of shoreline, first-rate food, and Cabo’s icons – as well as endless excellent excuses to get away from it all. You’re here to experience the best of Baja. We’re here to make it happen. The white-glove service we offer to brides and grooms is also available to guests celebrating milestone birthdays, anniversaries, or just about any other occasion worthy of a party. Bahia is located at the very tip of the beautiful Baja Peninsula, in Cabo San Lucas' much-loved Medano District. Explore photo memories made here in Cabo San Lucas at Bahia. It’s no secret that good food brings people together – and we work hard to do exactly that, serving some of Cabo’s best food and drink. Influenced by international flavors but grounded in the traditions and tastes of Baja, the food at each of our restaurants is inventive, unexpected — and delicious. 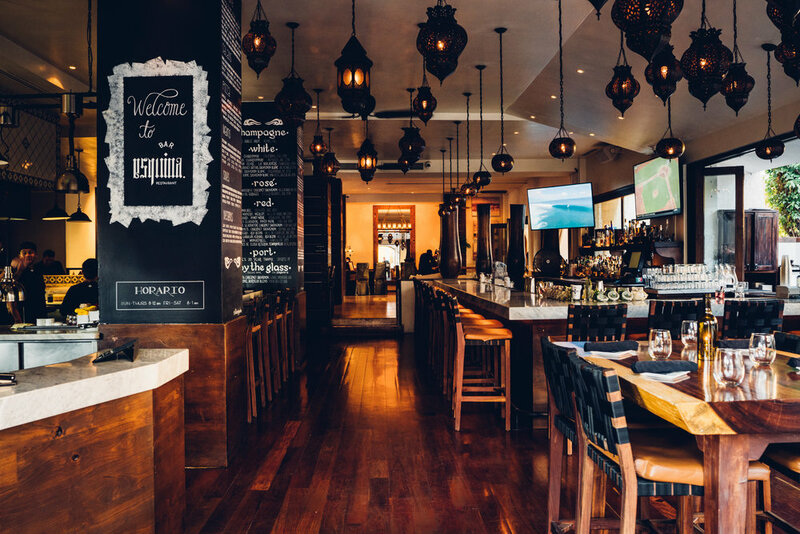 Bar Esquina and SUR are proud to be part of a gastronomic scene that’s earning accolades on an international stage. With so much deliciousness just steps from your room, you may choose to eat every meal in our restaurants. But if culinary curiosity pulls you off-premises, we’re happy to connect you with the best of Los Cabos cuisine.